William Hill is a betting site that is known all over the world. Aside from being among the largest and the most established betting companies in all of UK, they are also known to be the very first to enter the American sports betting industry too. In 2015, they have reached more than 3 million users online, which serves as an evidence to their authority in the sports betting world. If you are planning to open a William Hill account, this bookie comes with a “bet £10 get £20” offer that you can take advantage of. If you are familiar with the sports betting industry, you definitely know that this is one of the best bonuses out there. This means that if you deposit £10, you will also receive two £10 bets the moment you enter the promo code (F20) upon sign up. The minimum odds that are also available for you are 1.2 (1/5 in fractional). This is quite lower compared to others, but if you are a fan of football, you can take advantage of another offer. If you bet £20 or more on the game’s accumulators each week using four or more selections, you can expect a free £5 each Friday. The bet types as well as the number of leagues to enjoy are a lot, including La Liga, Premier League, Serie A as well as Bundesliga. When it comes to deposit options and withdrawals, you can expect a complete range of coverage. Of course, the usual debit/credit card options are there, including eWallets such as Skrill and Paypal. You can also withdraw money through slower platforms, cheque and bank transfer. However, the use of eWallets and cards are highly recommended because you can process the withdrawal almost instantly. The withdrawal can go back to the funding source. Keep in mind, however, that different payment/withdrawal methods come with different charges, including limits and processing times. Therefore, it is very important to check on the options first. As part of their special options, William Hill offers cash out for their punters. They refer to it as “cashing” in a wager. This option is available covering a wide range of sport betting events. Another option is the “Cash in my bet” which allows you to see the value of a currently existing bet that can also be cashed out at that particular moment. For example, if you have supported an underdog and they end up winning with just 20 minutes left into the event, you have the option to do “cash in” instead of risking until the end of the game. You also have the opportunity to enjoy the feature on single wagers, as well as accumulators. Al you have to do is to search for “Open bets” market on the slip. William Hill offers an “in-play” service which will allow you to enjoy live betting in the site. The coverage of events is just amazing, especially with live football matches. The markets are quiet clear, with the processes fast when it comes to striking your bet with live wagers. You will never be short of available options here. In fact, at any given day, you can literally indulge in a couple of thousands events over several sports. You can also see the odds, and whether they are rising or dropping. You also have the option to see the most popular bets in the community, thus giving you that idea what other gamers around you are also doing. At the same time, in order to make bankrolling a whole lot easier, you can use the result tabs and the bet calculator which are located just below the favourites, organising things well. If you check Android, the mobile betting app of William Hill has the #1 rank. It is also well-received by iOS users. This tells a lot about the quality of the mobile version service offered by the betting site. Overall, the mobile version is fully functional when it comes to allowing you play the games that you also play in the actual website. This app also comes with features such as selected matches, in-play markets, races, as well as top bets. Among the sporting events covered in the app includes tennis, soccer, football, horse racing, basketball, volleyball, snooker, and several others. The customer service solutions offered by William Hill is top notch, even making themselves available 24/7. This means that you can contact them for any enquiry any time of the day. Their representatives are available through phone support (+44-870-600-0479) or through live chat on their website. You also have an option to email them at customerservices@williamhill.co.uk. The types of markets offered by William Hill includes athletics, American football, basketball, baseball, boxing, bowls, cycling, cricket, football, darts, GAA hurling, GAA football, greyhounds, golf, horse racing, handball, motor racing, ice hockey, rugby league, snooker, rugby union, motorbike racing, pool, volleyball, and UFC. Special sections for very important events are also offered, with a special section that is dedicated for the Olympics. In terms of bet types, William Hill uses several. A “single” bet refers to 1 selection in an event. Your selection should be successful in order to expect a return. “Scorecast”, refers to a single bet which contains two elements: the first goal scorer, and the right score after 90 play minutes. A “double” bet is consist of 1 bet with 2 selections across different events. Both of them should be successful in order to expect a return. A “treble” is consist of 1 bet with 3 selections in different events. All should be successful in order to expect a return. On the other hand, an accumulator is consist of 1 bet with 4 or more selections across different events. All should also be successful in order to expect a return. 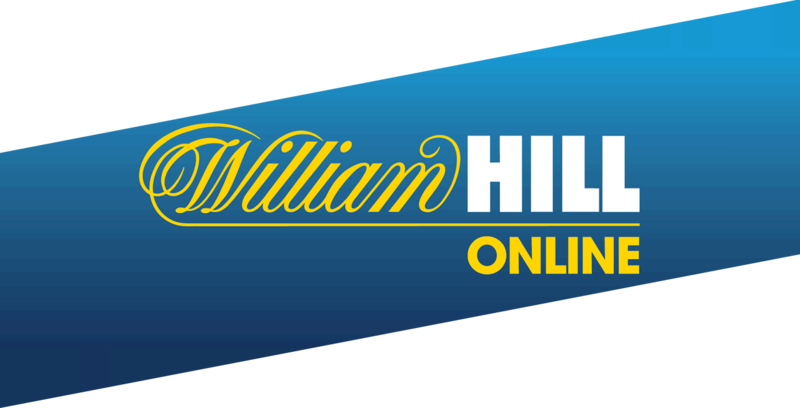 As what you might expect out of a leading betting site, William Hill offers not just high quality service, but also a wide range of events in a market. For example, for football alone, they serve more than 60,000 matches every year, and this is just on the match outrights. There are still other features such as handicap, goalscorer, specials, and others. Aside from football, they also offer bets in other markets too. In fact, they have a pretty good coverage of North American sports and they even offer competitive and great odds because their traders excel at both value and options. They have even expanded to an average of 5.4% margin on the soccer events, which works best for punters availing the offers of the site. Based on our review, navigating through the website can be quite slow. This may be because of the design of the site, not suiting everybody’s taste. It seems a little clunky and cluttered because of the volume of information that are present. They also have a lot of products and services available, but they are not organised accordingly. Overall, William Hill has lived up to the equity it has built for its brand. We love the well-developed sportsbook available which takes care of UK’s most important events. They also offer several benefits, such as the multi-channel experience that they offer. On top of that, the website offers SSL Encryption, which means that it operates safely. With the variety of payment options available, offers, and several others, this is a recommended betting site.